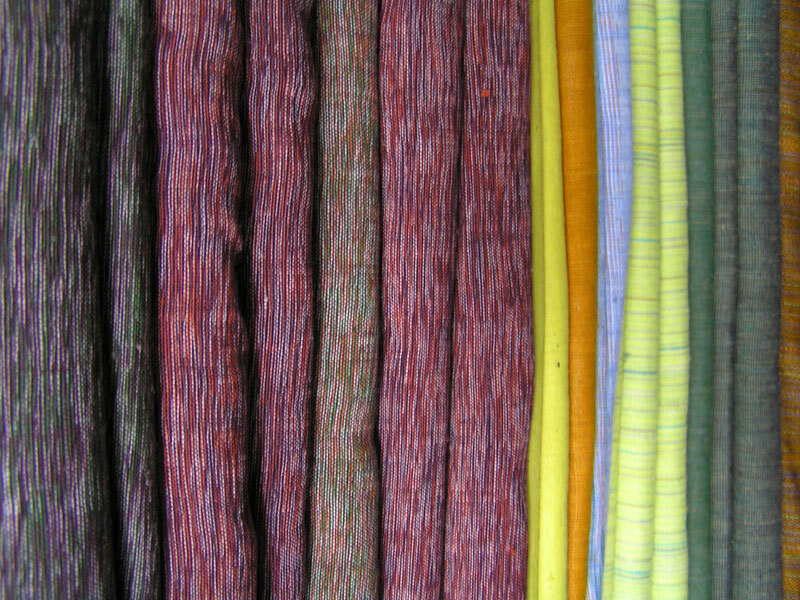 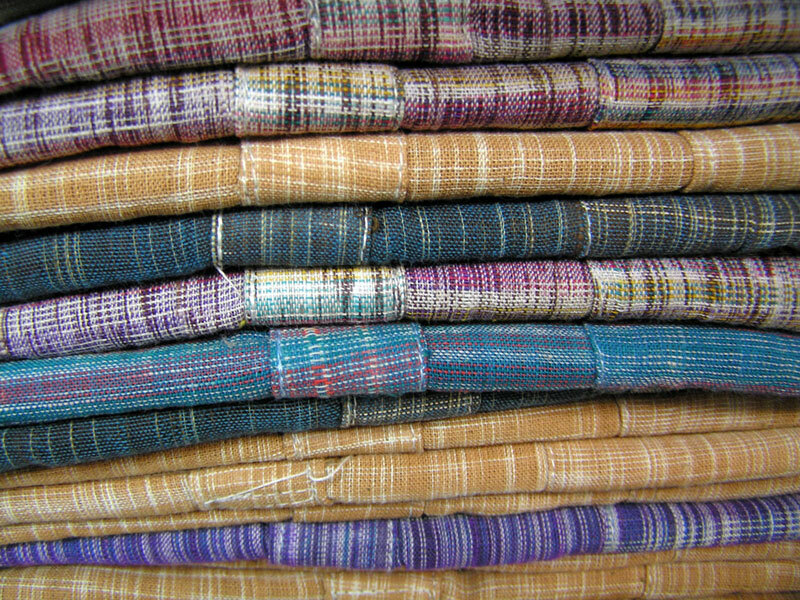 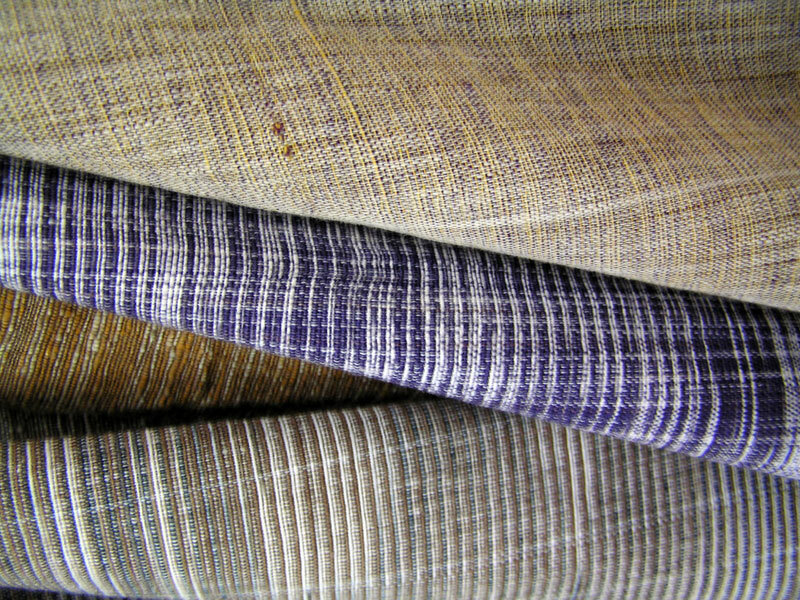 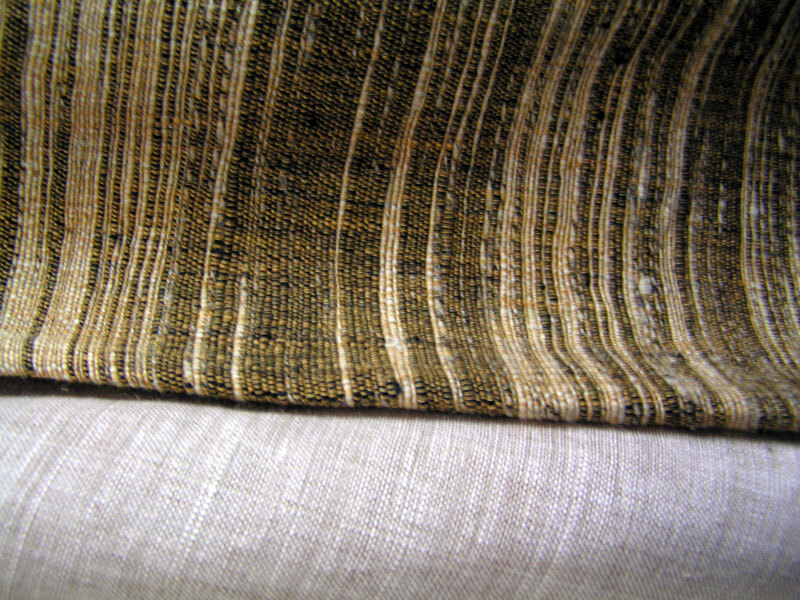 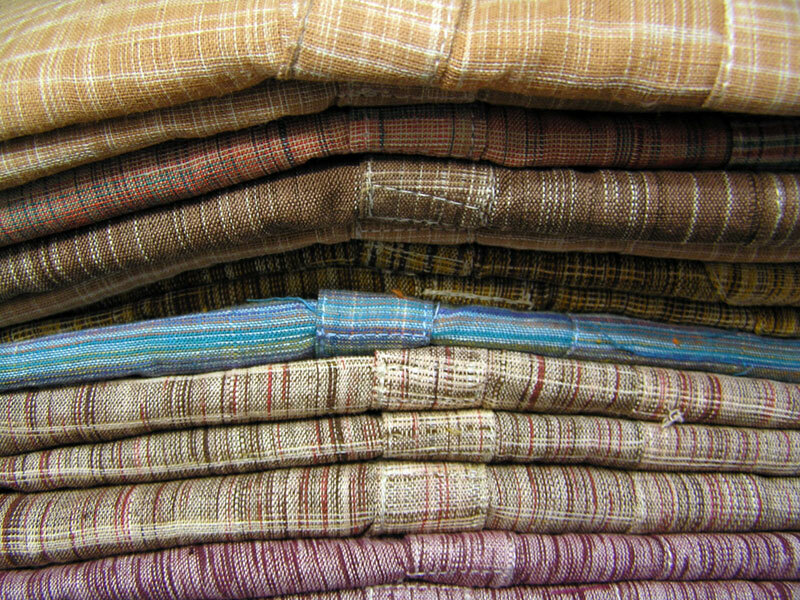 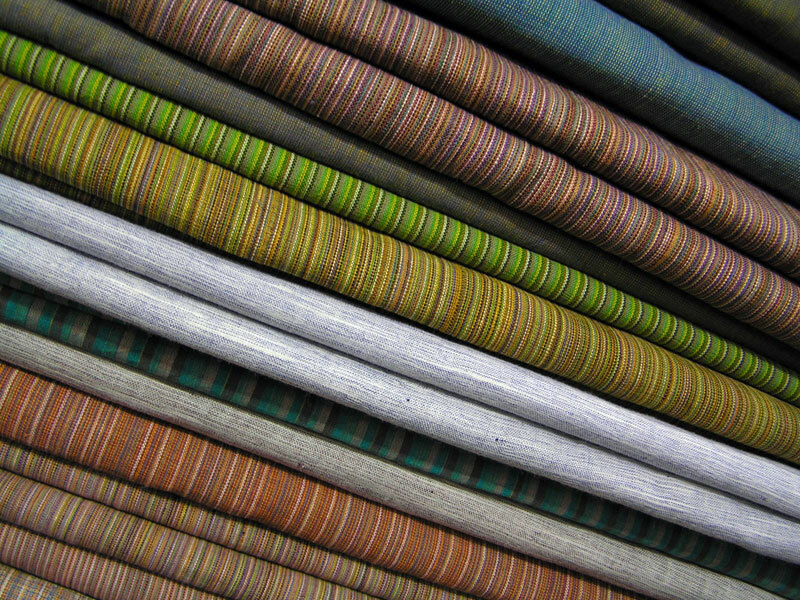 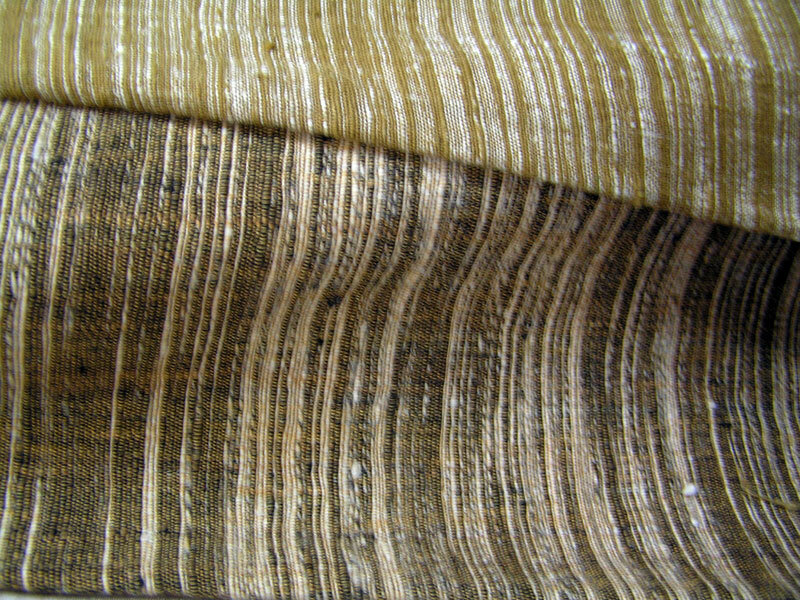 These are examples of handspun and handwoven textiles known as Khadi and are made in India. 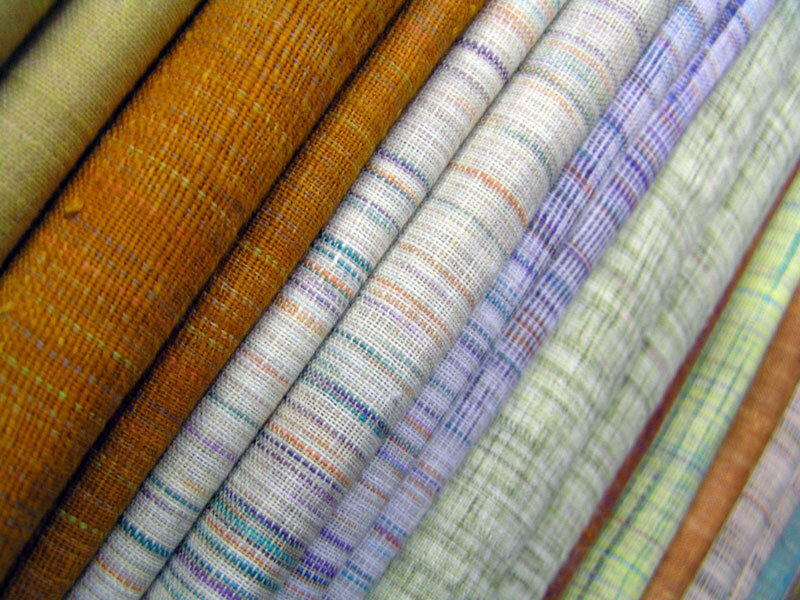 The range depicts the textures and colors used in these textiles. 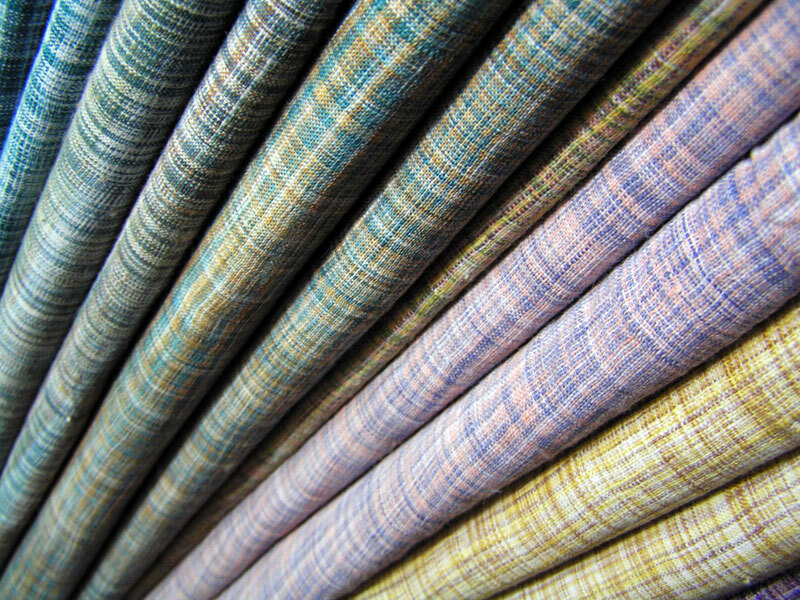 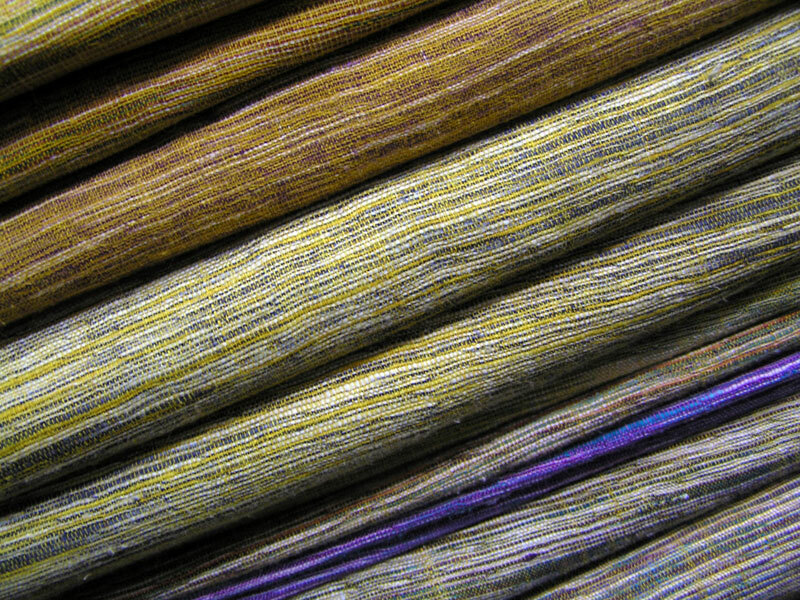 The textile is spun into threads on a spinning wheel (chakra) by hand. 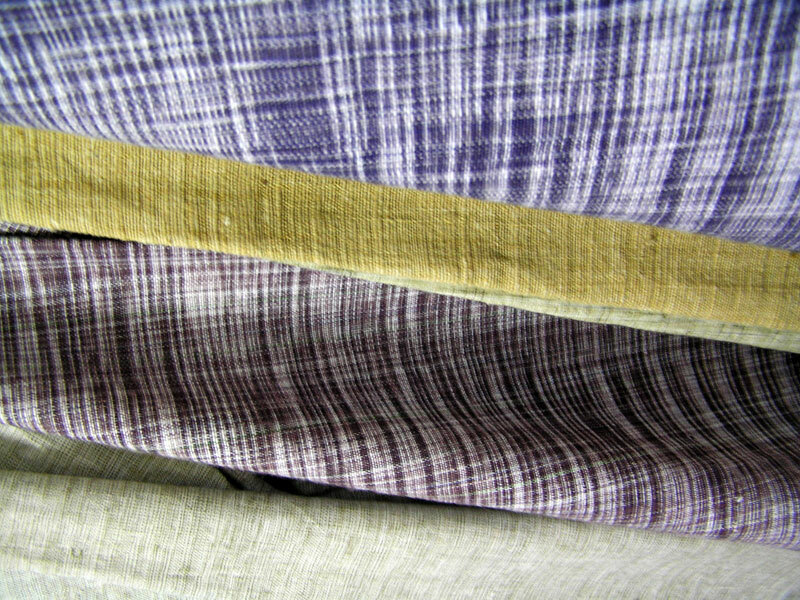 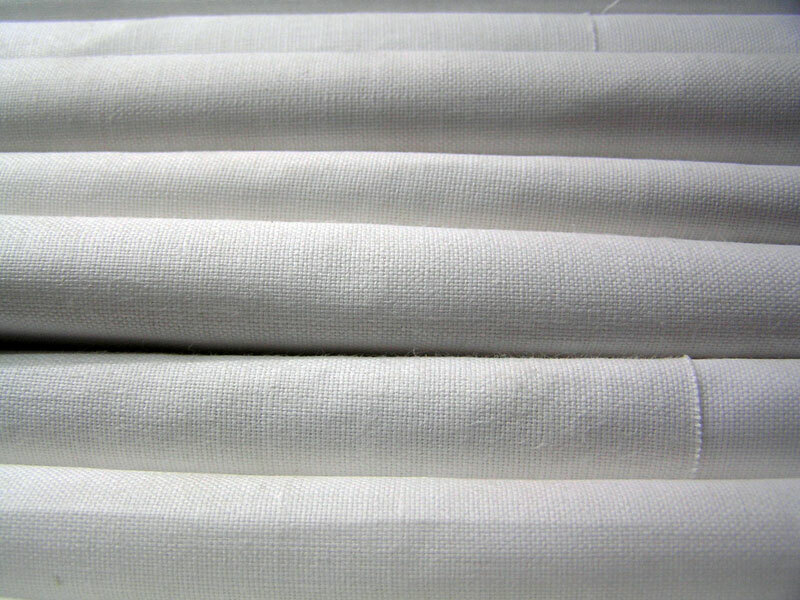 Mahatma Gandhi encouraged the use of Khadi textiles as a means of attaining self reliance in the country.